Dustin Huff sets up in the pocket. 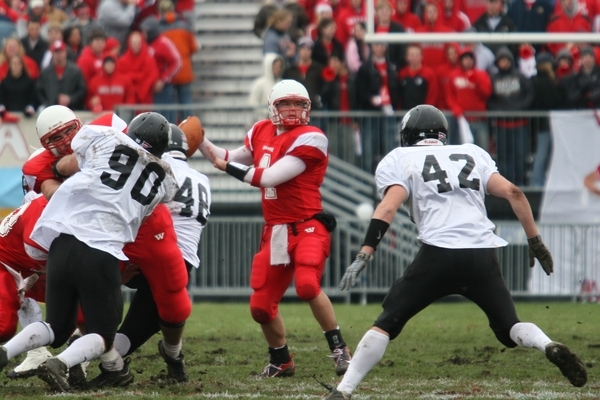 He would throw for 304 yards and two touchdowns in Wabash's victory. Photo by Jim Amidon.